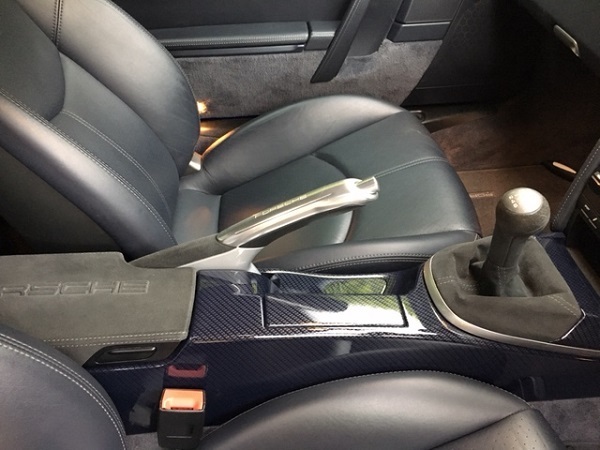 Before I put an ad in the classifieds, anyone interested in a wicked coatings carbon-coated centre console. As new, as it was only installed a few months back. Sent you a PM Nik. I read there is a good thread on how to remove these on 911uk but I haven’t found it from searching. I haven’t gone through all 32 pages on this yet but if someone could point me to it I’d appreciate it. I’ve found one on rennlist but I was hoping it could be done with less faff. Or any good ones going for sale(oem or leather😉)? I was hoping it could be done without removing Bose bits and whatnot. Bund do you have a cab, is that why there are Bose bits to remove as I know the amp is in the pax footwell on a cab. Hey Phil, it’s a coupe but the link i found last night and t8 kindly put forward the guy is explaining you disconnect the battery and Bose amp, this tutorial is for a gen 1 though. 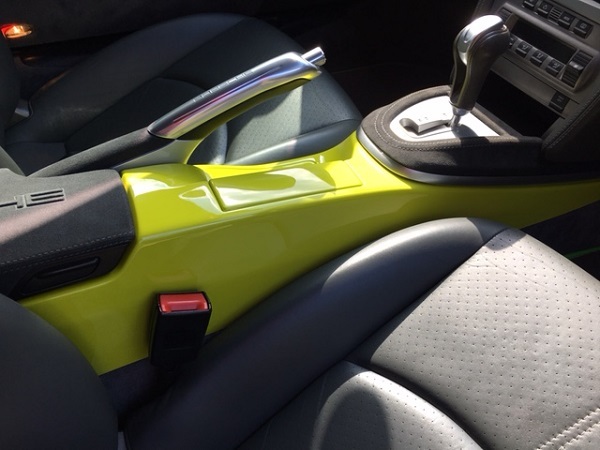 I’d read in one the 911uk posts there was a good write up on how to remove the rear centre console but I hoped it wasn’t the one we’re talking about and a bit simpler(sure it’s not difficult if you’re handy with a bit of trim). The MA carbon instructions (and YouTube vids) are easy to follow along as you do it. Does not take too long and never needs a lot of force so unlikely to break owt. The cubby tray is the only awkward bit as it has a tab on the top, but gentle pressure releases it. Ah its a coupe , in that case theres nothing Bose connected that needs disconnecting we did mine on my drive in about 30mins sent it off to be painted and then refitted it in about 45 mins taking care not to damage the new paint , on the cab the Bose amp is fitted to the side of the centre console in the pax footwell , but in the coupe its on the rear parcel shelf. the only thing thats a bit time consuming is removing the gear knob as they can be stiff. 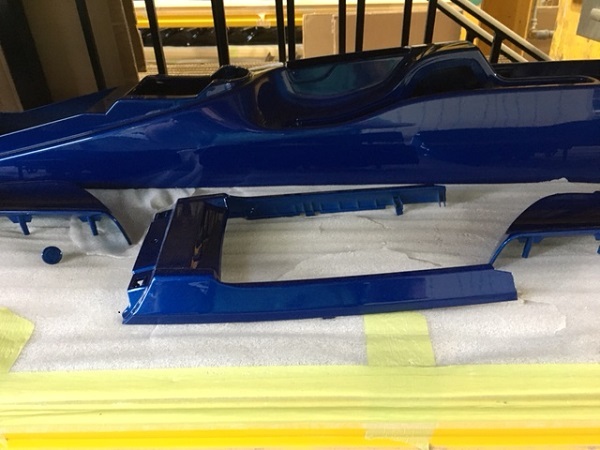 the car is actually drivable with the centre console removed. 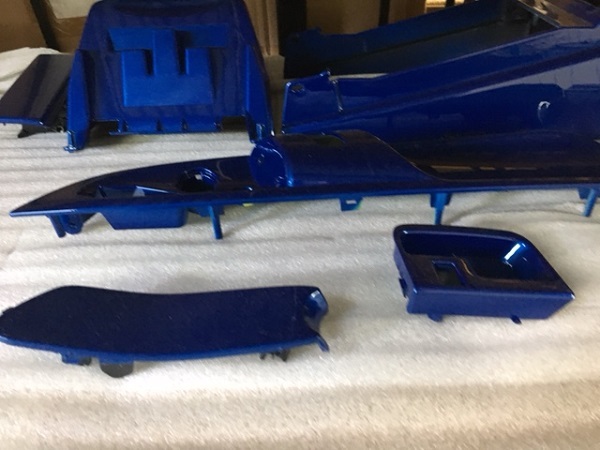 heres a couple of pics of mine in bits after painting sorry they are not great pics. Were the types of plastic tools in the carbon tutorial required? No need to disconnect the battery then? Yes. Torx for the screws of various sizes and better to use the plastic splitters when separating the gear knob surround bits. I bought a set off amazon for about £15 but was doing a few van installs etc around the same time. I disconnected the battery with the key in position 1 for the alarm (not sure it’s 100% necessary but there are a few connectors to unplug so belt and braces and all that. Phil might know if the battery is necessary. Edit: if PDK, make sure to leave the car in neutral before removing the console as it won’t clear the obstructions. Thanks for the reminder to give them a shout as I wanted to check about prices/times etc. 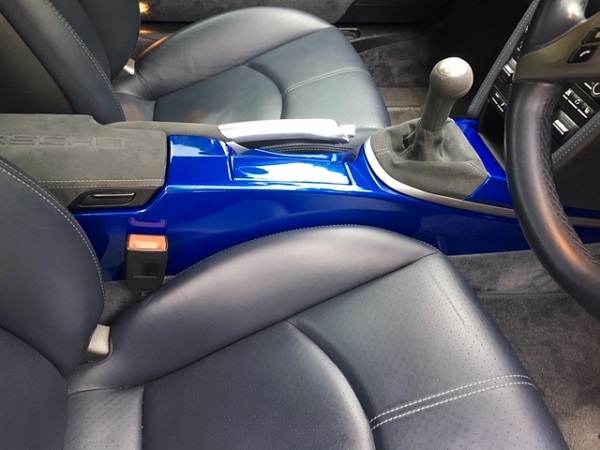 After doing it do you have any advice on colour combos or oem finish as I've always proffered extended leather to the paint finish but the cost difference is about £500 it seems? Do they offer the leather stitched oem look? Wicked don’t do leather. They are a specialist coatings company. What colour is the car and interior ? So what did you buy in the end!?.. Meteor grey with black, would piano black match the surround of the sat Nav or look like I’ve taken a console out of a black car when you open the door and see grey shuts? MattyR I gave a deposit on a private 4s car advertised on ph up in Scotland. Won’t get it this month though but early next. personally I would do it meteor grey but its down to your personal taste . I’ve got time for sure yet Meteor Grey 😆 is top of list at the moment. Seems like the guys who got on the first time round had a very good deal as Lyle has told me he lost on each one due to a miscalculation. This time round 10 jobs will get it to £215. I’ll give it till next month if anyone is interested?